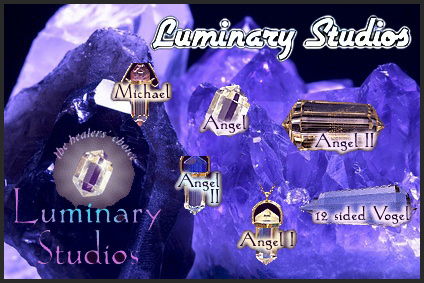 Luminary Studios is a small cutting operation, intent on serving the needs of the spiritual community by proving the highest quality quartz crystal meditation/healing tools and jewelry available. 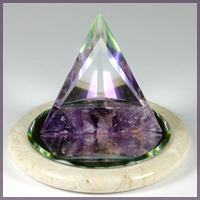 Drew makes the complete line of crystals as developed by Marcel Vogel, producing some of the finest, most energetic Vogel Crystals available anywhere. 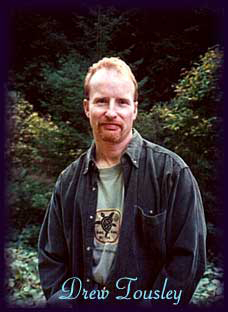 He had the great fortune to manage Marcel’s cutting operations from 1985 to 1991. 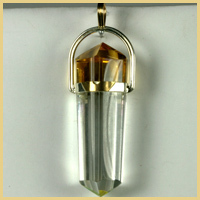 In addition Drew has also developed a variety of healing/energy tools and pendants - - that have been "road tested" and proven in the field for their ability to enhance meditation, healing, and self-healing processes. The prayers and intention that go into Drew’s work make a difference, as the plentiful positive feedback to us will attest. We certainly agree and welcome you to find out for yourself the blessings of Drew’s work. Enjoy.